Make 4 payments of $2.94 over 8 weeks and get it now! 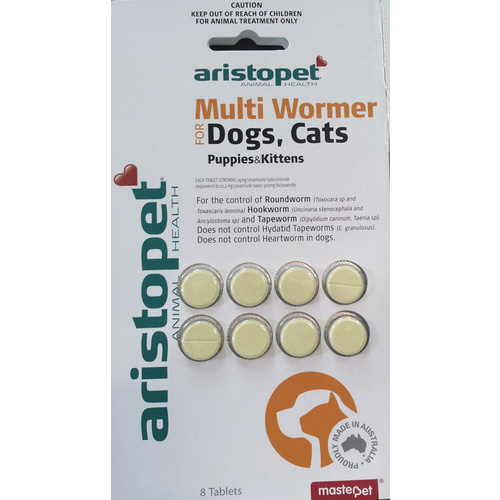 Dogs - One tablet per 5kg bodyweight every three months (always refer to packaging for instructions). Cats - One tablet per 5kg bodyweight every three months. Divide the dose, giving half the dose after the morning meal and the same dose 6-12 hours later (always refer to packaging for instructions). Active Ingredients: Active Ingredients: Each tablet contains 25mg Levamisole Hydorchloride (equivalent to 21.2mg Levamisole) Base 500mg Niclosamide. 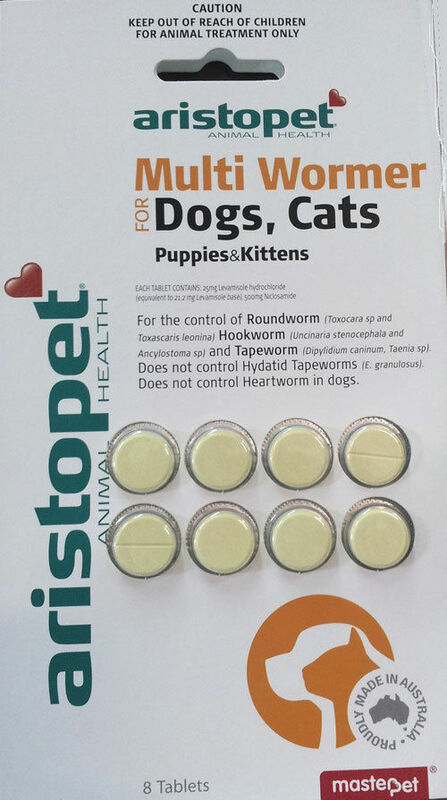 Please note - These tablets are for intestial worms and do not treat or control heartworm.